Can Adoptive Parents Have Relationships With Birth Parents? Navigating an open or semi-open adoption can sound daunting to prospective adoptive parents. The thought of “sharing” your child with another family can be overwhelming, even scary. However, the reality of modern open adoption is that these relationships, though they take effort from all parties, are valuable to all members of the triad, especially adoptees. If you are using an agency or attorney, they may also act as an intermediary for communications, if you wish. You can send emails or letters to them, and they will pass them on to the birth family. Before you choose an adoption professional, it is a good idea to ask them how they can help facilitate a relationship with birth parents. Also, you will need to know if the agency or lawyer drafts open adoption “contracts.” Though these are generally not legally binding, they are important because they outline the wishes of all parties in regards to how you would like to communicate, how often, and through what means. Sometimes, you may “meet” or have communication with an expectant family prior to birth or placement. While these first conversations can often feel like an awkward first date, they give you the chance to get to know each other and ask each other important questions about your background, interests, and your wishes for this child. After placement, using email to keep up with birth parents is very popular amongst adoptive families to keep the relationships. With everyone, including the birth family, having busy lives, email allows people to send, read and reply to updates as their schedule permits. Other options for keeping in touch include social media, phone or text, or in person visits. 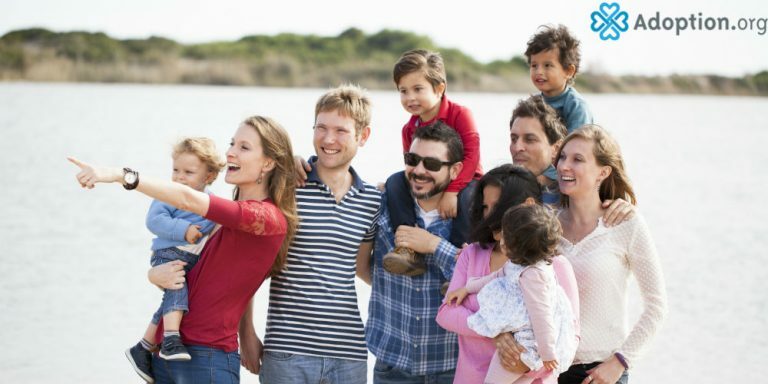 Just like all families are different, all open adoptions are different, and each party needs to feel comfortable expressing their wishes for communication. Like family and friends, there may be times where you communicate more frequently, and times where you communicate more infrequently. If you are getting “radio silence” from the birth family, give them time and space to return your correspondence. Particularly in the first few years, their grief and healing process has to come first, and sometimes that means they need a little distance. It does not mean they would like to cease communication. As adoptive parents, we are the bridge between our child’s first family and our child until they are old enough to maintain the relationships themselves. Even if you are not getting much in the way of a response, keep the lines of communication open and uphold your end of the open adoption agreement.